Some may think of doilies as "old" and grandma-esqe. But you should know that what some may consider "old" is now new! 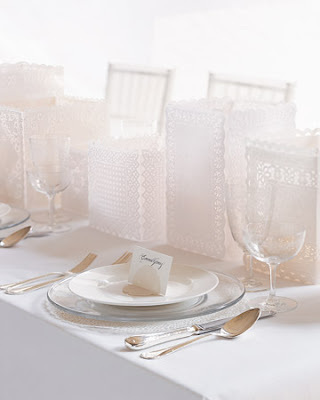 I've always loved the dainty, delicate, feminine, feel of doilies. They remind me so much of lace, and you know how much I adore lace! This little sheet of intricately cut paper circles, are not only used to decorate the plates you place your deserts and cakes. 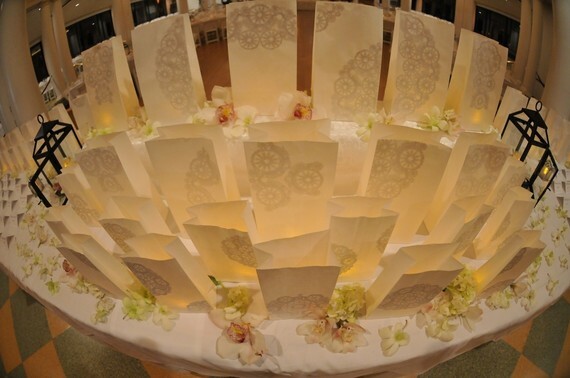 Create your own party decor using doilies. They are also perfect for Valentines Day decor. 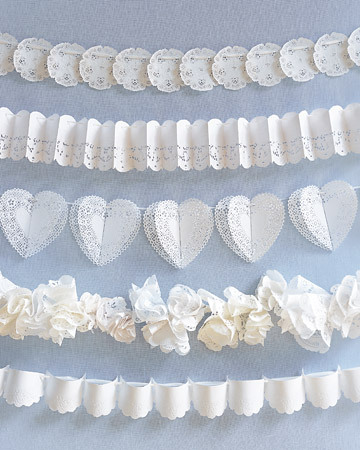 I am working on a little doily garland for this weekend. I'll be sure to share it when it's complete. Love this all of these! Martha Stewart of course. 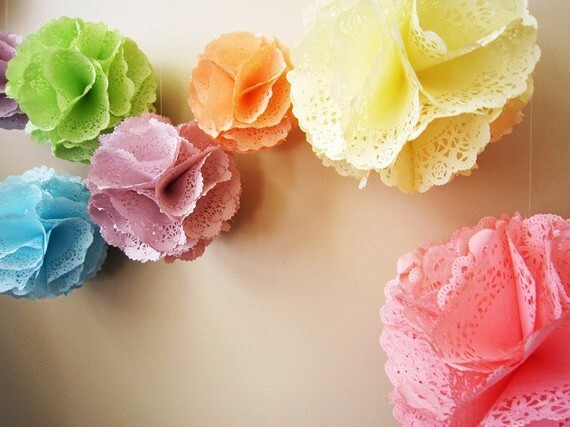 Doily Pom Poms- Instead of tissue paper, use doilies! I have to try this one of these days. Found the final two photos on Esty. Check out Myhaleygirl etsy shop for more doily decor!